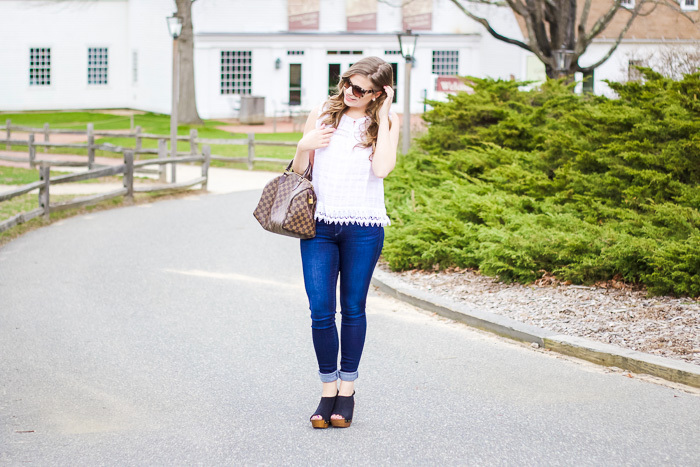 I snagged this top during the Shopbop sale last week for 25% off. It was definitely an impulse decision but I'm so happy with it. I love all the different detailing, the lace hem, the faint checkered pattern, the tie and the ruffle sleeves. 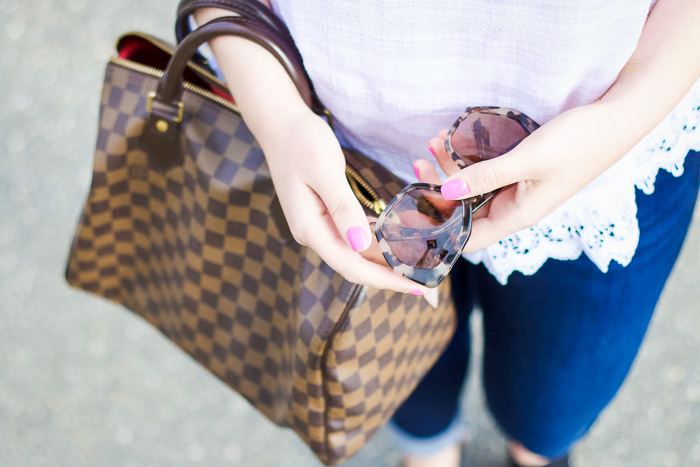 It is so girly and summery all in one. It's finally been (sporadically) warm enough to not wear a coat which makes me so happy! 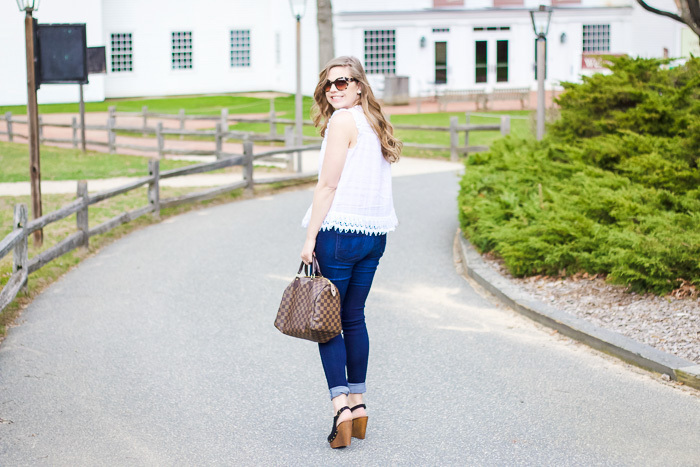 I wore this top paired with my favorite jeans and wedges but can't wait to wear it with jean shorts and sandals when it warms up even more! Great pictures babe! Love it. You look really cute! I love those shoes and the price is right! Love a good shoe at a good price! Hello! You look so gorgeous in all these photos and I love your style. So happy to meet another Style Collective sister :) Going to follow you on Instagram! Have a wonderful day! Woo, I love meeting another Style Collective sister as well! Love the top and those sunglasses are to die for! I want! Thanks, Paola! They are my new fav sunnies! you look SO cute!!! Love those glasses. 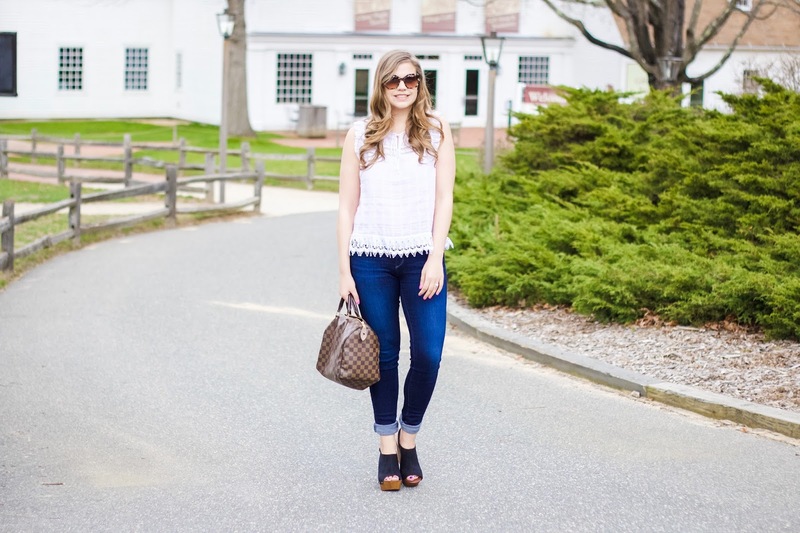 This is such a great casual, summer look! Now if only summer would get here! Thanks for stopping by, Madison! 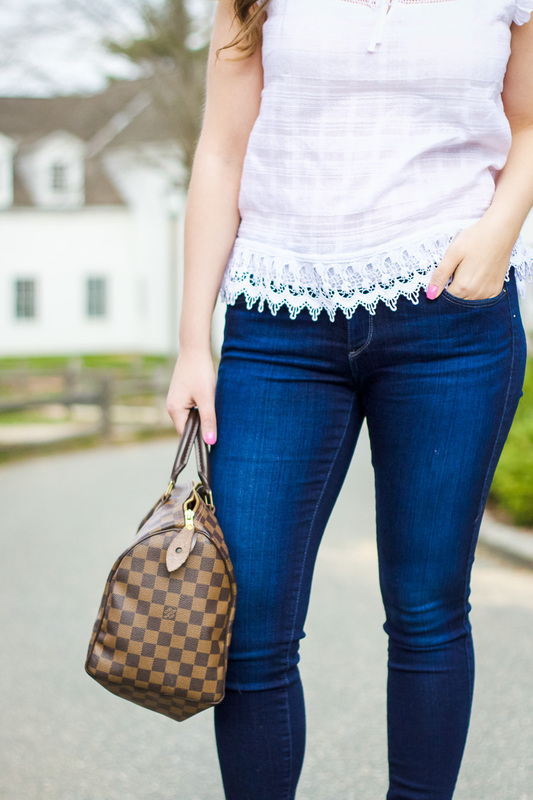 This white laced top is so cute! Adore your style! Love a good white top, the added lace detail is lovely. Looks great on you! Great look! I love all the detail! 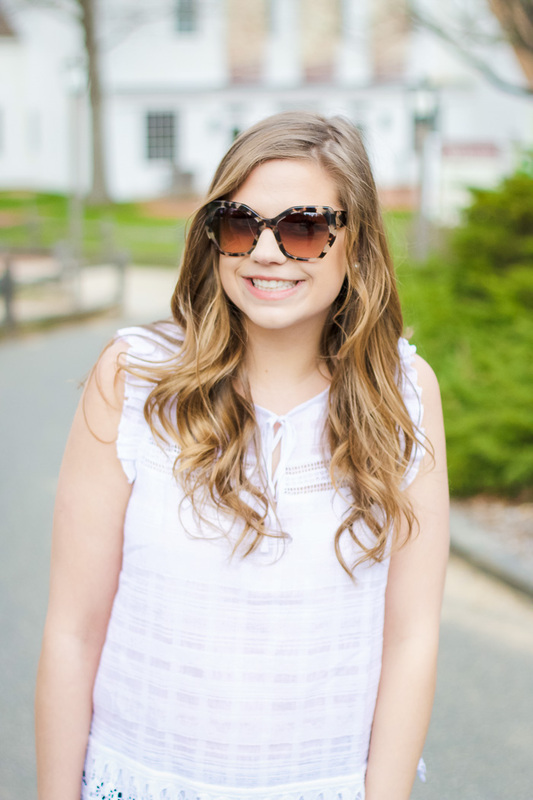 This sunnies are perfection!! Great post, girl!! So cute!!!! Love that top and those wedges! !